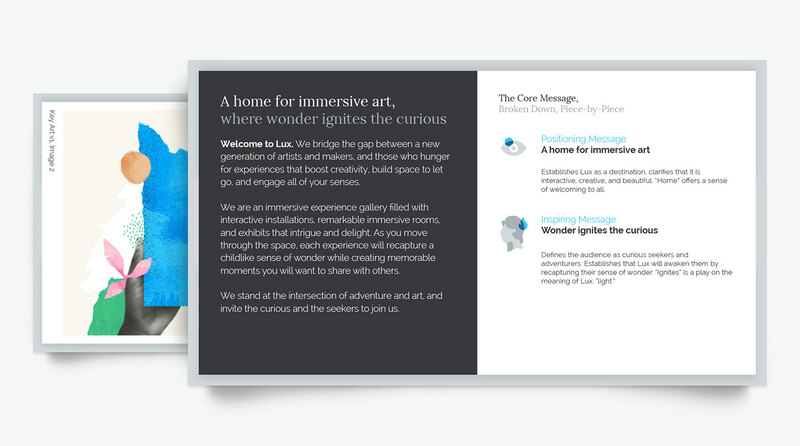 An immersive experience gallery and series of interactive installations and exhibits that intrigue and delight. 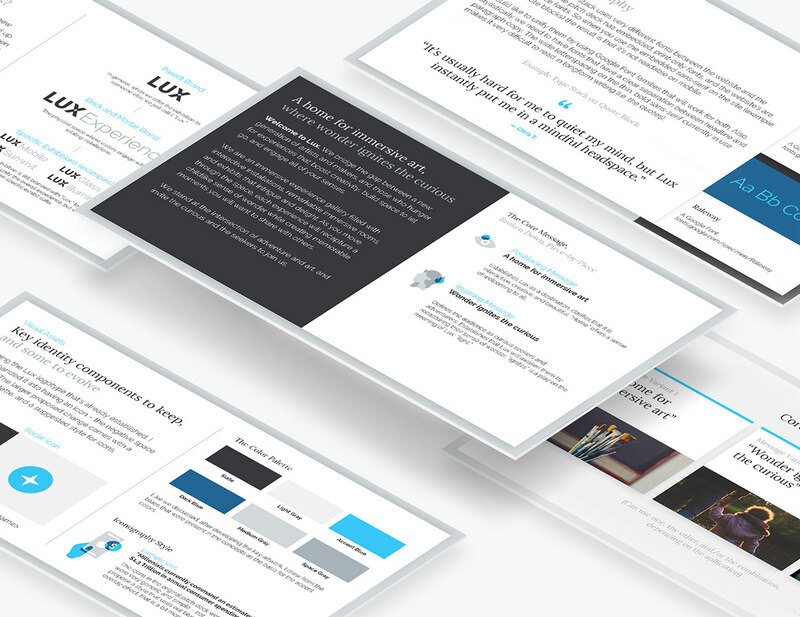 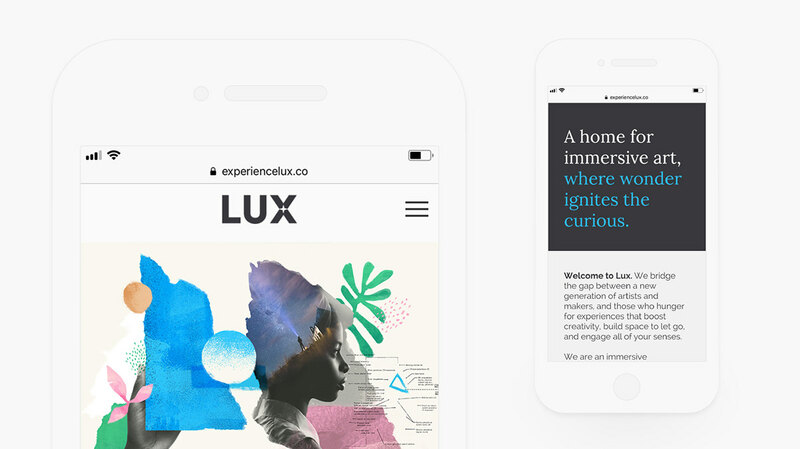 When Lux approached me to help them communicate their brand, they had a beautiful idea and a nice, simple logo – but needed an identity built around it all to really bring the concept of the experience gallery home to potential partners, donors, and guests. 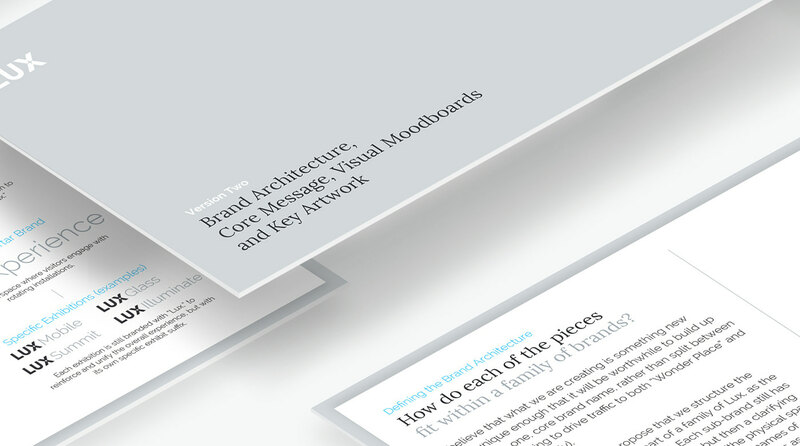 The first step was to help them establish a narrative framework and core messaging structure to communicate the experience. 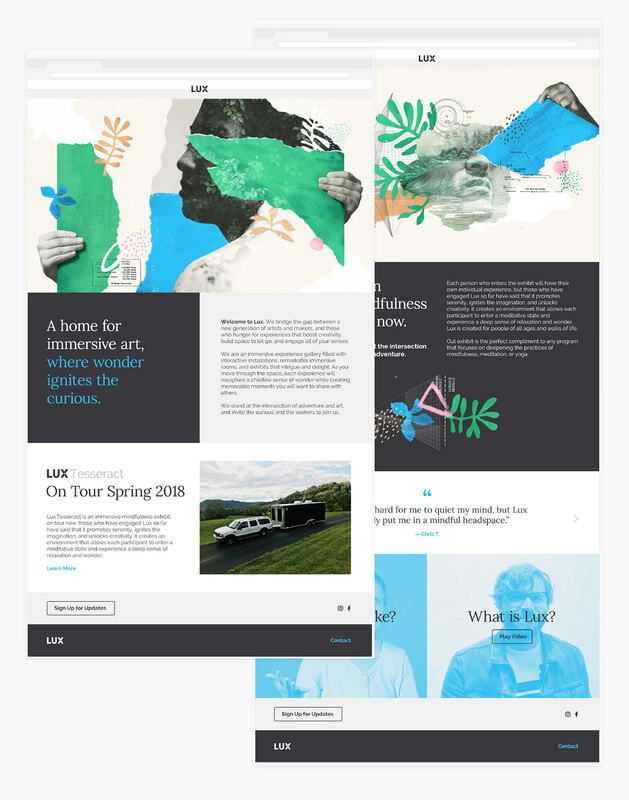 After this, I helped them create a flexible brand architecture to help them grow unique new exhibits that still feel like cohesive extensions of the core brand. 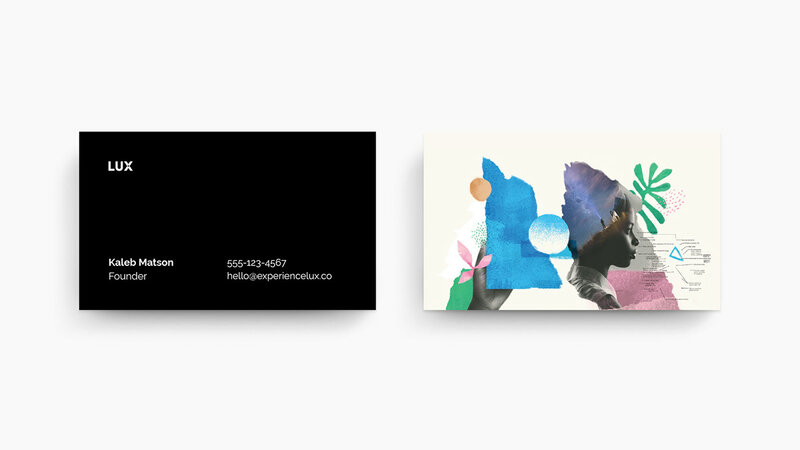 Lastly, we built out a defined color palette and typographic parameters to build equity on a certain look-and-feel, pulled together with a collage-style library of beautiful and creative key artwork for the brand's updated identity. 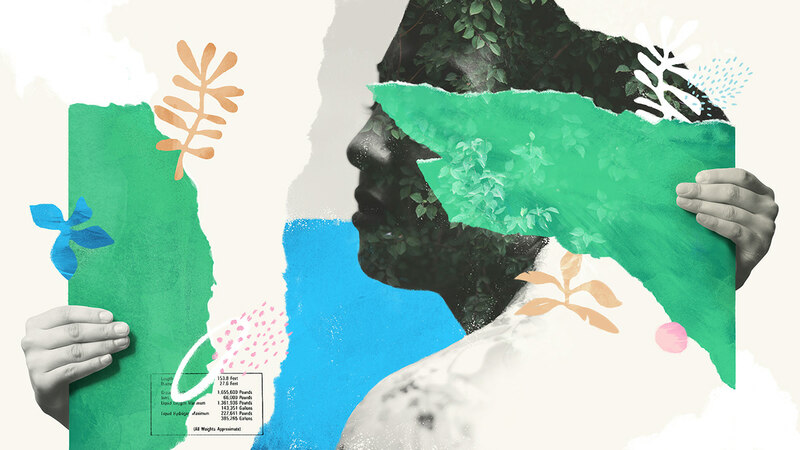 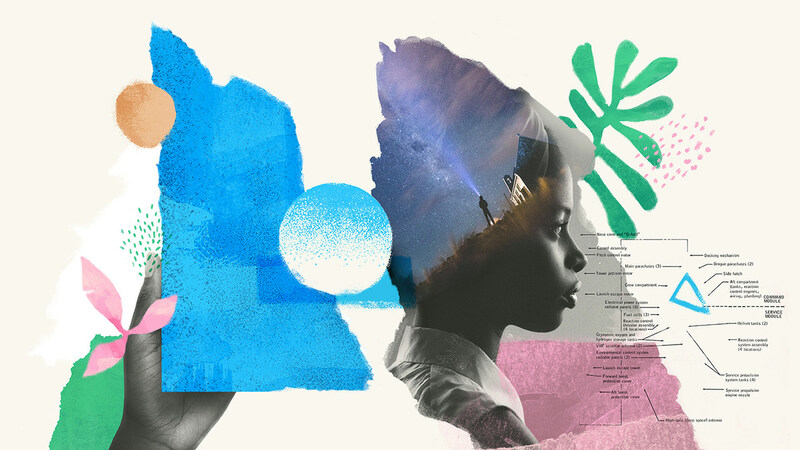 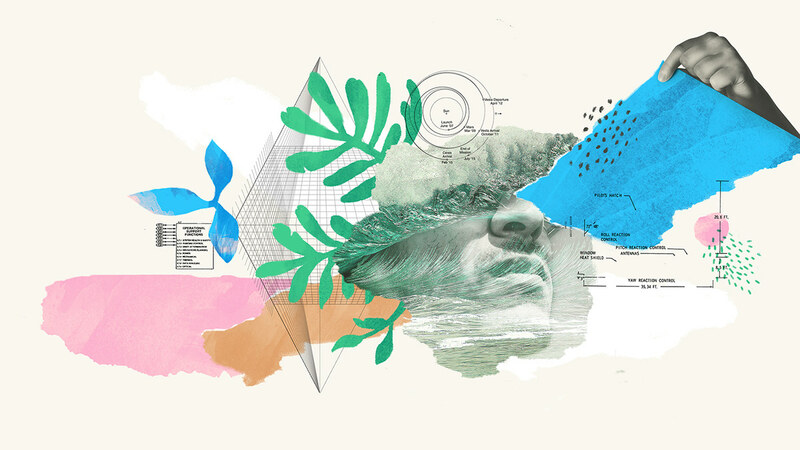 Narrative framework and brand guidelines, including collage-style illustrations as key brand artwork and custom icons, designed for Lux, an immersive interactive art installation and series of mindfulness exhibits.